The django CMS Marketplace is where you you can find custom Addons, created by Divio or by other users who choose to make their custom Addons publicly available. 1. 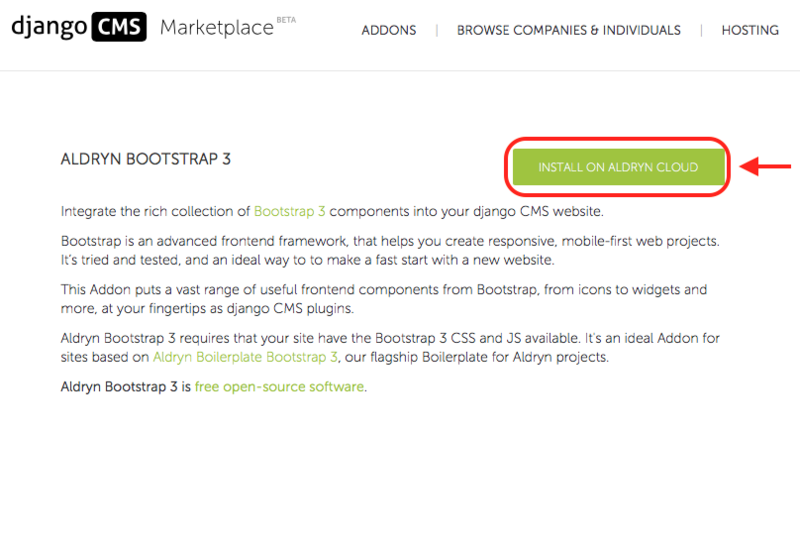 Visit the django CMS Marketplace. Choose the Addon that you want to install. 2. Choose the Addon that you want to install. 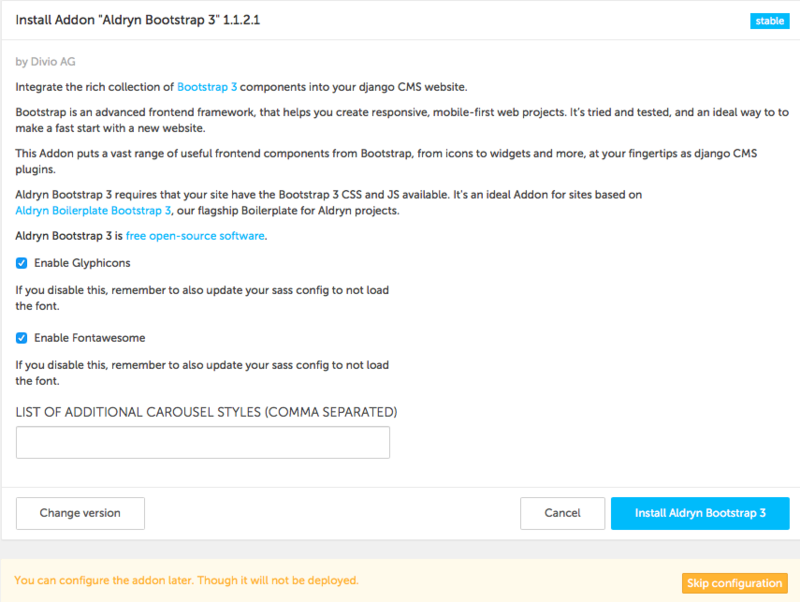 For example, Aldryn Bootstrap 3. 3. Hit Install on Divio Cloud, on the Addon’s details page. 4. You will then be redirected to the Divio Control Panel and you may (depending upon the Addon) need to configure its specific settings. These will be different for every Addon. If you do not configure it upon installation, it will not be deployed until the configuration is complete. 5. Once your Addon-specific configuration is completed, you can choose a Release Channel (for example, if you’d like to try out a Beta release rather than the standard Stable version). 6. Hit the Install… button to complete the installation. Please read our how to guide to find out more about how to configure and install Divio Addons.